I suppose it’s possible that a person might select their research agenda solely on the criteria of conducting their research in wonderful places. That was not my approach when I started down this road, some seventeen years ago, on the trail of a nineteenth-century American architect. Tracking down Walter’s paper trail has led to some mildly dismal places (literally the closet of a small historical society, municipal records departments), and some pretty wonderful ones (lovely architecture museums, gorgeous big-city libraries). I was treated to one of the latter two days ago here in London; it is also one of the happiest justifications for this trip. 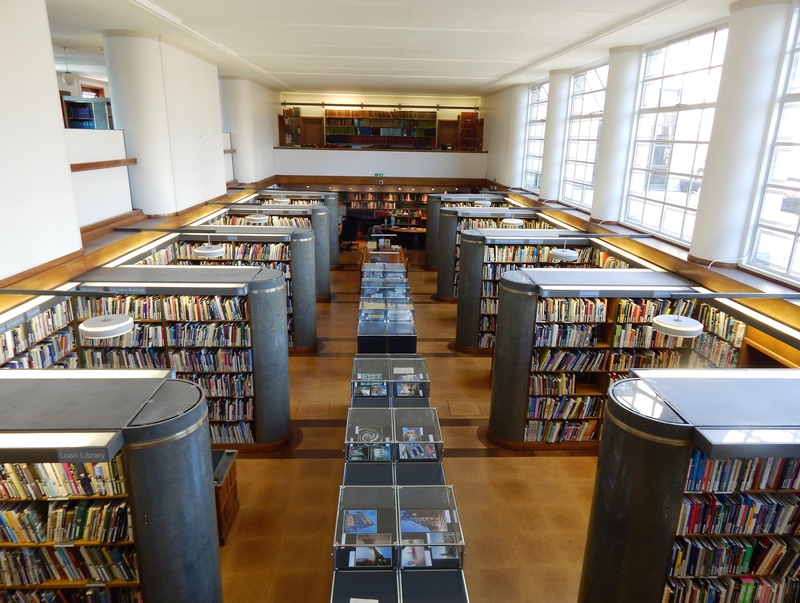 The library of the Royal Institute of British Architects is a swish place on two floors of the Institute’s great 1930s Classical building. Wonderful place, full of distractingly interesting things, and run by friendly librarians to boot. And we all know, a friendly librarian is a researcher’s best friend.